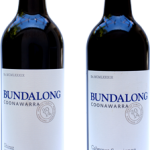 Established in 1989 Bundalong Coonawarra focuses on quality over quantity. 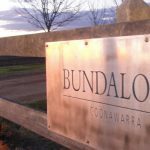 Bundalong has been in the Porter family for over 65 years. An old shallow quarry with exposed red topsoil suggested the presence of Coonawarra’s world renowned terra rossa soil and led us to plant vines. The first Cabernet Sauvignon was planted in 1989 followed by Shiraz. 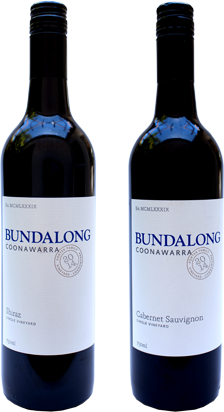 Originally all grapes were sold to the largest buyer in Coonawarra, with some blocks being graded in the top 5%. The objective has always been quality rather than quantity. In 2008 we produced our first premium wines which scored a 5 star ranking by Halliday. We restrict our vintages to our very good years and our next vintage, 2012 received 95 points from Halliday. Our intimate knowledge of the vineyard enables us to manage the soil and microclimate to carefully balance the canopy and crop to produce a layering of flavours. Our current vintage is our 2014 limited release single vineyard Cabernet Sauvignon and Shiraz. We use specially selected parcels of fruit matured in French oak.